Prestige Construction Yorkshire - Builder, Painter/Decorator based in Market Weighton, North Yorkshire. 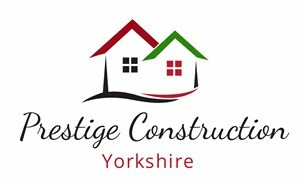 Prestige Construction Yorkshire is a construction and conversion company covering the York area. With 20 years’ experience in brickwork, new builds, and extensions we have undertaken a wide range of projects, from small repairs to total project management. With a team of 22 of the most highly vetted tradesmen available, we give 100% on everything we do. When we take on a project, we will be with you from day one until the job is finished. Our Prestige Construction Yorkshire team always goes above and beyond to make any build or renovation as hassle and stress free as possible. We also have our sister company Prestige Decor York providing full decoration services to domestic, commercial and retail sectors, Prestige Décor York undertakes both internal and external painting and decorating projects. These range from hotels, high end residential homes, Leisure, school buildings, restaurants, clubs, bars, stadium renovation, office outlets and many more. At Prestige Construction Yorkshire, we rely heavily on recommendations and have worked tirelessly to build strong relationships with our clients. We have achieved an exceptionally high reputation of service and remember the needs of our customers always come first. With a wealth of experience in dealing with Building Regulations, Listed Building Consent, and Local Planning Permission, we can offer you any advice necessary and can ensure any projects are within regulations. Our quality service starts with our first meeting, where you tell us exactly what you’re looking for, from a home extension, garage conversion, attic conversion or renovation, to an entirely new build with project management throughout. We will be with you every step of the way until the project is complete, keeping you informed of our progress and any arising issues at all times, while listening to any potentially changing needs you may have. Our team of experts provides you with the materials, knowledge and work force needed for any building or renovation project, ensuring a single point of contact from start to finish, with constant communication to ensure we achieve our goal. For a focus on honesty, quality workmanship, and top-class services, choose Prestige Construction Yorkshire Limited.